Russian River and Sierra Nevada are two of my favorite West Coast breweries. Almost every beer they make is a winner in one way or another, so to say that I was looking forward to this would be a massive understatement. Did it live up to the hype (that I created in my brain)? Let’s find out. 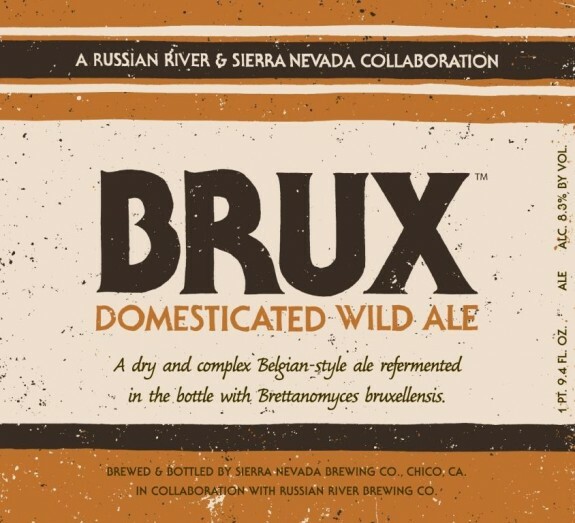 BRUX is a “Domesticated” American Wild Ale with an 8.3% ABV. I purchased this beer back when I rolled through Santa Rosa on my way home from the Great Pumpkin Beer Fest, so it’s been sitting in my “cellar” for the past 7-8 months. I’m a huge fan of sour ales and I was willing to spend the money ($20 for a 375ml bottle) since all of the proceeds were going to charity. 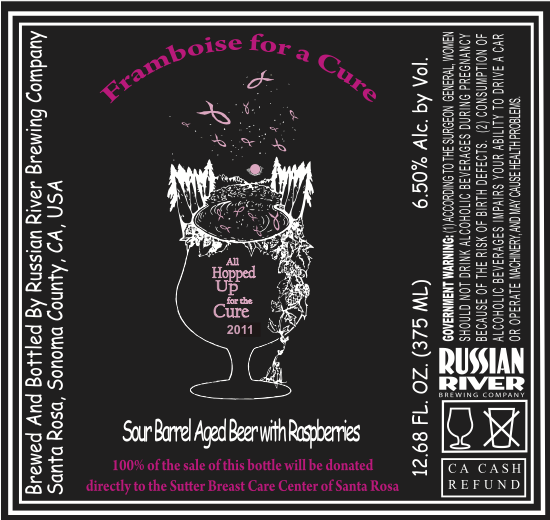 FRAMBOISE FOR A CURE is an American Wild Ale with a 6.5% ABV. 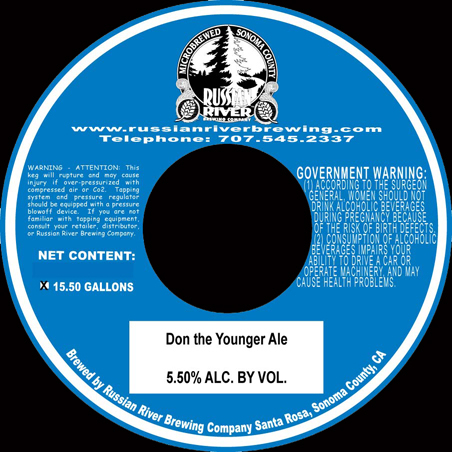 Don the Younger is an English bitter with 37 IBUs and a 5.65% ABV. I knew my first beer at Russian River would have to be a sour ale, but which one would I choose was the real question. Temptation was the only sour ale on their beer board that I hadn’t had before, so it was my choice numero uno. Temptation is part of the barrel-aged beer series at Russian River. This sour blonde ale is aged in chardonnay barrels and clocks in with an admirable 7.5% ABV. Back in February my roommate and I were kicking around the idea of making the drive to Santa Rosa, California for the release of PLINY THE YOUNGER. Due to timing and financial reasons we weren’t able to make the trip. Cut to a couple of weeks ago and I started hearing about The Younger popping up in the LA area, but I always kept just missing out (tickets were sold out, heard about the event the day after, etc.). Finally, I caught wind of Pliny the Younger being on tap at Lucky Baldwin’s in Pasadena and we could actually attend! So yesterday we drove to Pasadena at 10 in the morning got a table, one hour later we had our tickets, two hours after that we finally had glasses of Pliny the Younger. Did it live up to the hype?